We do gigs. All gigs. 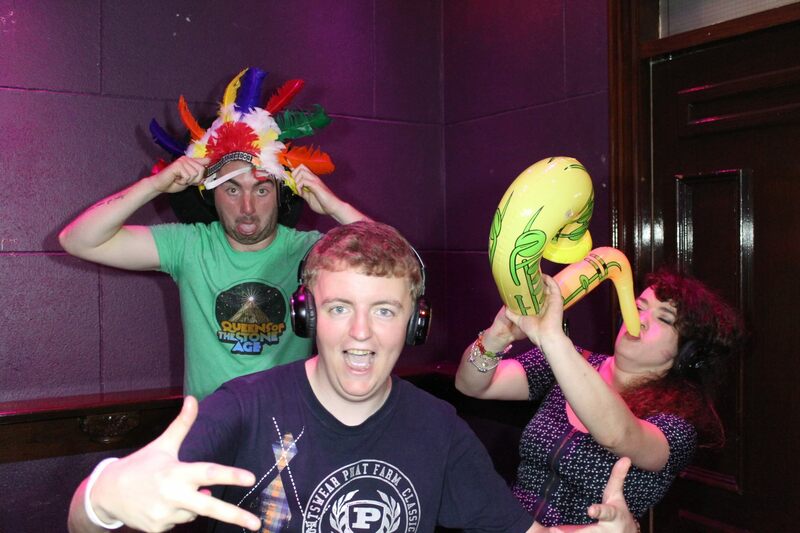 From 5000 headsets @ Oxegen '13, 2000 @ Electric Picnic to 30 headsets for private parties in back gardens. The number doesnt matter. What does matter is how we put your event together, and make your guests and patrons dance and sing for the whole gig. To see what we can do, check out our video's, testimonials, or come and see us in Whelans on Wexford st, Dublin, every Wednesday night. We've been quietly rocking weddings for a decade, having done Ireland's first Silent Wedding party 10 years ago. Since then we've run hundreds of wedding parties, building a unique understanding of what is needed to make every Bride and Grooms dream party - a packed dancefloor. 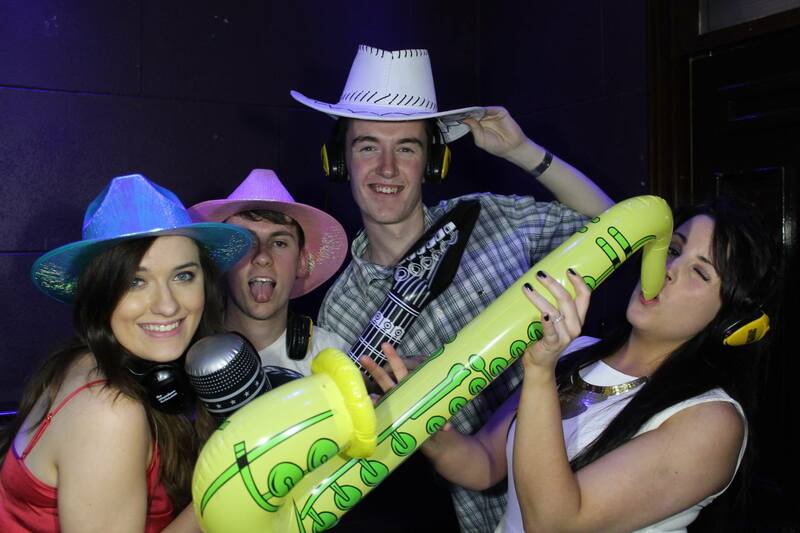 We can bring lights, 2 DJ's, a 'Normal' disco and even party games, depending on what way you want to build the party. 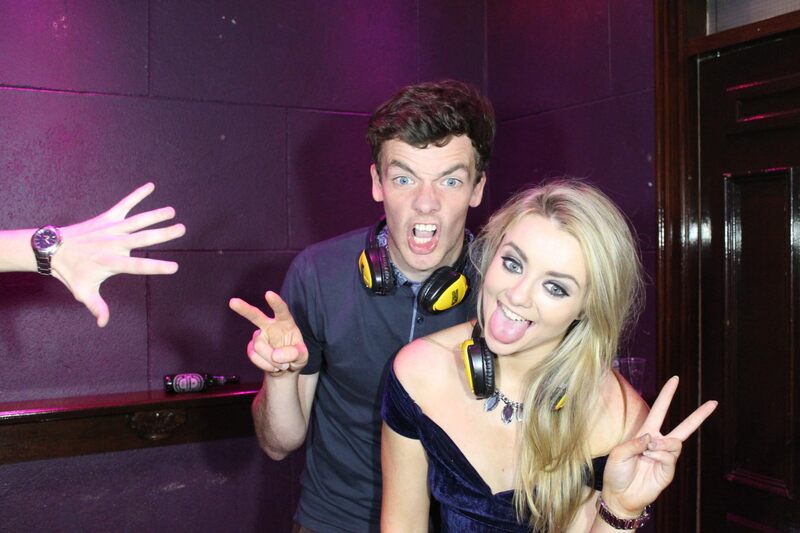 We'll also suggest 'His n Hers' playlists and channel battles, depending on your taste in each others music! We have also noticed a trend in the past two years where we have been asked to create garden festivals, turning a back garden or patio into a nightclub or festival arena for a night, without making enemies of the neighbours, for 20-100 people. "This was the highlight of our wedding, it became the one thing everyone remembered"
What type of parties do you cover? Anything - weddings, festivals, birthdays, BBQ's, communions, funerals - whatever you want! Do you do 'Normal' DJ and bring your own PA system? 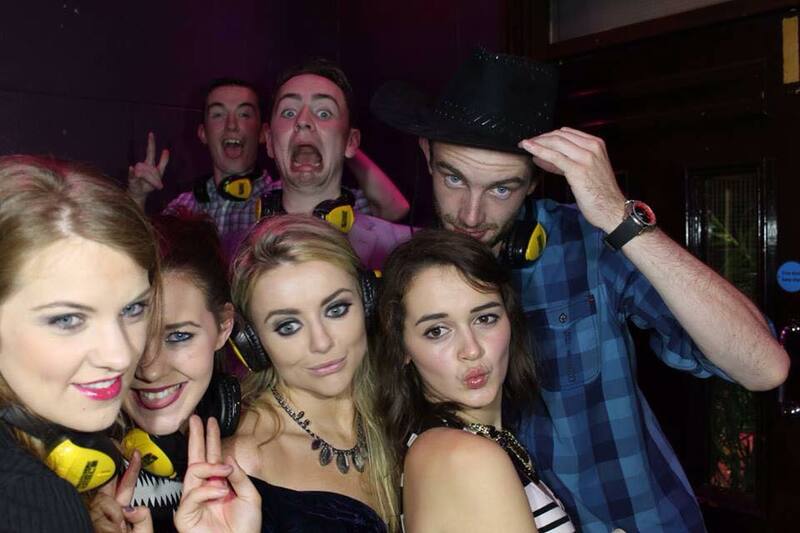 If you want to run a 'Normal Disco' also, just ask, as we also provide that service for €150-200 extra in addition to the Silent Disco! How long can you run for? 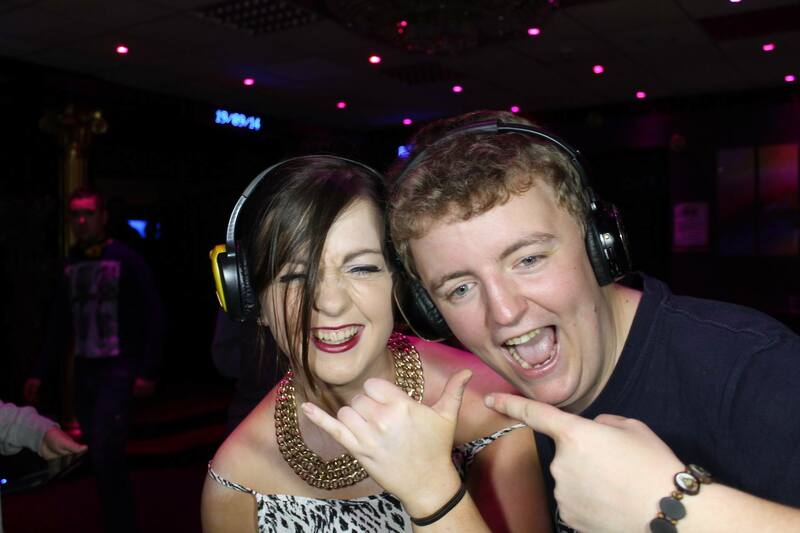 We run up to 4 hours for silent disco, and 6 hours if you include the 'Normal' DJ option. You define which you want for longer, and when, within that 6 hours! Can my Granny DJ one of the Channels? thats unlikley....We'll compile all requests and styles of music in advance. How long will I be waiting for my quote? We'll get you a quote within 24 hrs, and give you some options to help you tailor your event. Up to 2000, although we have done 5000 with the help of our mates in the UK. 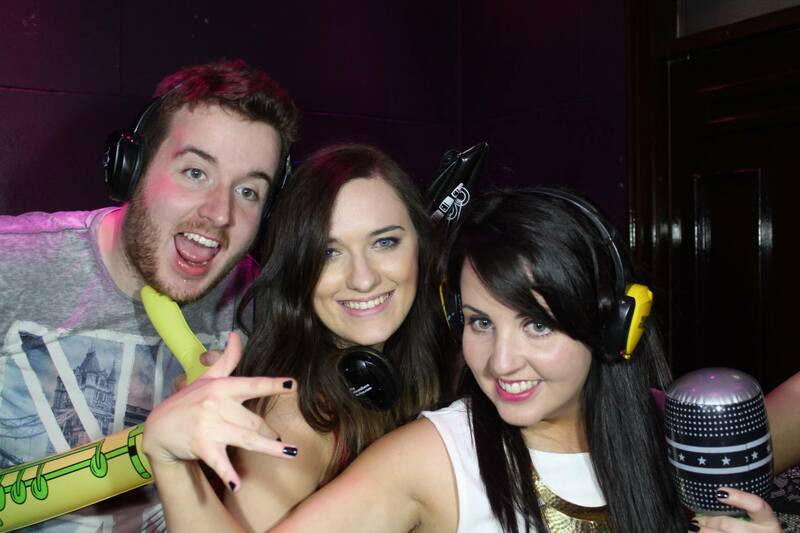 Are Headphone Disco any good at Silent Discos? We've been at it in Ireland since 2008 and have a good rep to uphold! We can connect you with one of our many happy couples or promoters to give a testimonial! We take a deposit by paypal, and then the rest just before or on the night. We can accept bank lodgements or cheques in advance either. When emailing, please try to include date, start & finish time, location and how many people, where possible.